Thornton Consulting is a select network of consultants, coaches and trainers with a wide range of expertise management and organisational development. We operate through partnership, with one or more consultants focused on each project, large or small. Thornton Consulting is led by Christine Thornton. Follow Christine on Twitter, sign up for our newsletter, or see a list of her publications. We believe in understanding the situation as fully as possible before proposing a solution. Therefore when you contact us, your first conversation will be with Christine Thornton. Christine is a consultant and coach with 25 years' experience of helping organisations and teams flourish in today's complex, ever-changing marketplace. 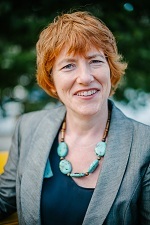 She is the author of several books and papers, including Group and team coaching, Routledge 2010, which since its publication has become a standard text in the field. Christine holds an MSc in Psychology, and her broad experience includes leading organisations and membership of a government advisory committee, as well as long coaching experience. She has been honoured with invited honorary memberships of the Association for Professional Executive Coaches and Supervisors [APECS] and Association of Coaching Supervisors [AOCS], and is a member of the British Association for Psychoanalytic and Psychodynamic Supervision [BAPPS] as well as holding the internationally recognised qualification Member of the Institute of Group Analysis [M.Inst.G.A.]. Christine convenes the Institute of Group Analysis organisational training, Reflective Practice in Organisations. Consulting to social outcome businesses has always been an important part of Thornton Consulting's work, learn more about Christine's thirty years' experience with voluntary organisations here.